There is a common misconception that dog clothing, and accessorizing your canine companion is a current trend. 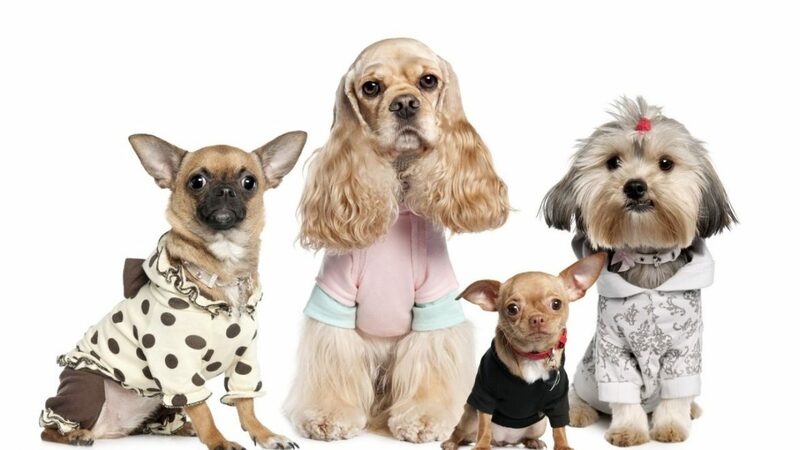 The assumption is that dog clothing all started in the early 00’s, and with the huge commercial push around this time, it’s easy to see where that thought came from. What if we told you woman and man’s best friend has been keeping up with current fashion since as early as the Egyptian pre-dynastic period? This means that for as long as humans have lived with dogs, we have shared our food, shelter and fashion sense with them. What were your dog’s ancestors wearing? The simplest accessory, the collar, started showing up first in ancient Egypt. 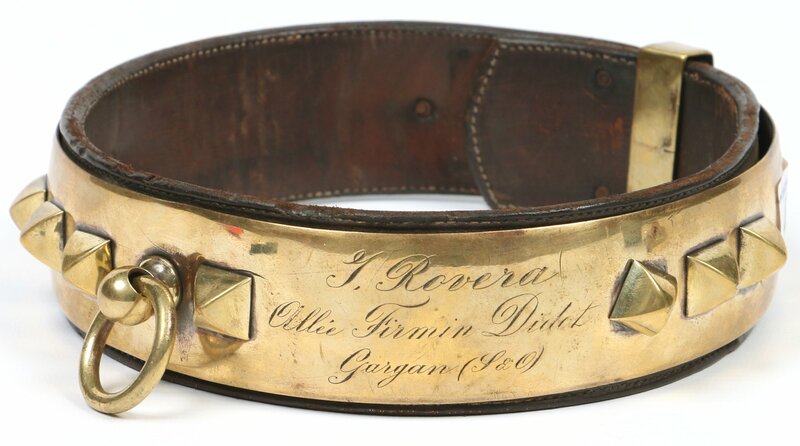 Collars were sometimes velvet, silk or other expensive and hard to find materials. Another common trend was to stamp leather collars with scenes from the dog’s life. Can you imagine ordering a collar depicting the time Max ate a whole turkey off the counter? Most prized ancient Egyptian dogs were hunting dogs, so their scenes probably looked a little different than what their descendants are up to. Around the same time, collars in ancient China were bejeweled and up to trend. King Cuo of Zhongshan’s dog was found buried with him in a collar of solid gold with silver and turquoise accents. While it functioned as a collar, its appearance was closer to a necklace. Moving on to ancient Rome, the Molussus or the ancestor of our mastiffs, was a well trained war dog. The most talented war dogs would be fitted with a suit of armor to match their Roman owners. 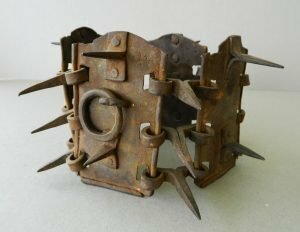 This seems to be the time period and area that originated the spiked collar. Unlike the hilarious spiked collar you have for your bulldog, these were sharpened and deadly. Sometimes they would just make the entire armor set covered in spikes. Besides the military dogs, pets also enjoyed custom accessories. Julius Caesar himself had to address the public about spending more time and money on their dogs than their children. The most famous, “The Pompeii Dog”, was found preserved in the ash of Mount Vesuvius. He wore a collar depicting him saving his owner from a wolf attack. I don’t remember any children saving their parents from wolves. 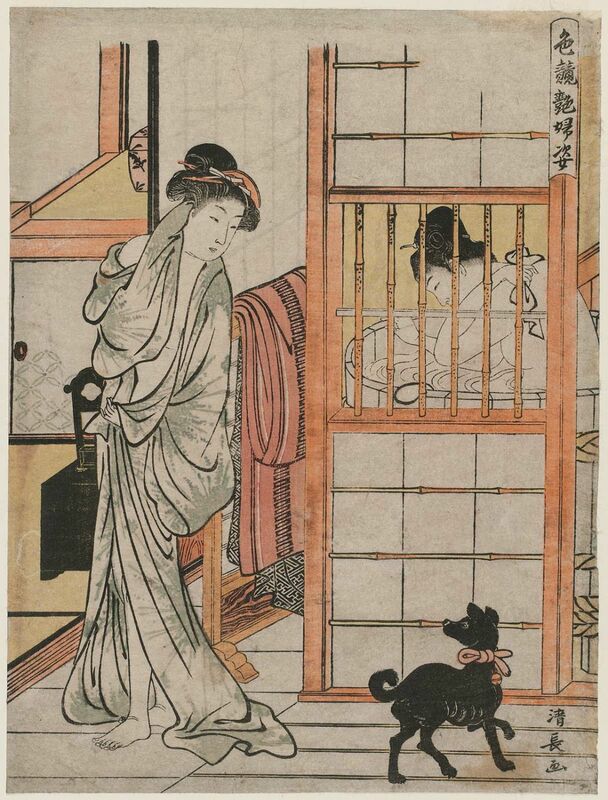 If your dog’s ancestors are from Japan, they likely enjoyed whatever accessories their family could afford. Samurais would outfit their dogs with their own matching samurai armor. The practice grew in popularity until clothing and accessories were manufactured for pets and family dogs. Well loved dogs may even own a set of very expensive ceremonial armor. The royal courts of Europe came into the dog couture scene with coats, necklaces and collars. 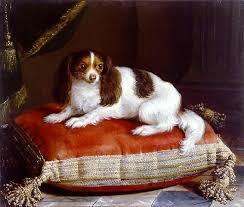 Beautifully preserved in paintings, dogs wear stunning displays of jewels, fabrics and precious metals. The most famous dog fashionista of the time belonged to King Louis XI. Cher Ami, or “Beloved Friend”, wore a collar of scarlet velvet with 20 pearls and 11 rubies. War dogs and their armor were popular through the middle ages in Europe and with the Spanish conquistadors in the new world. Unfortunately, many of the atrocities Christopher Columbus committed were with the help of armored war dogs. Makes picking up a sweater for your winter challenged best friend seem pretty harmless right? During the same time period, but back in Europe, the renaissance revitalized Europe. 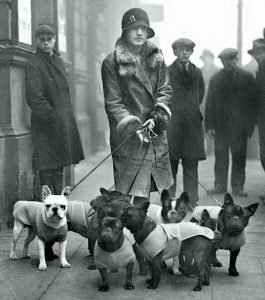 Dog fashion also benefited from the improved quality of life and ingenuity. 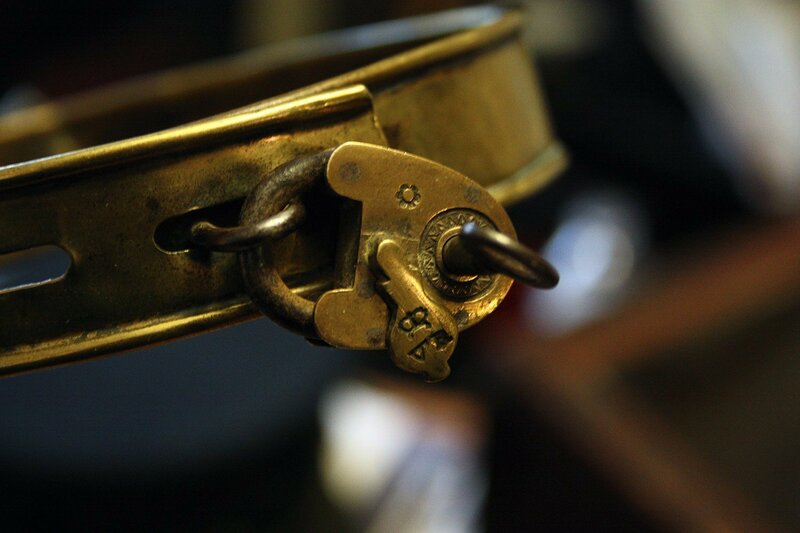 Similar to today’s collar sporting custom tags, in renaissance times the collar was used to deter theft. A lock was placed on the collar and only the owner had the key. These locks would be decorated and family specific, making them easy to identify in case someone stole the dog. When photography was invented in the 1800s, some of the first subjects were well-dressed dogs. We start seeing dogs dressed as humans, and other more current day trends. Functional accessories still exist, but in addition to armor, we start to see winter and rain coats. Dog clothing really took off with the industrialization of Europe. 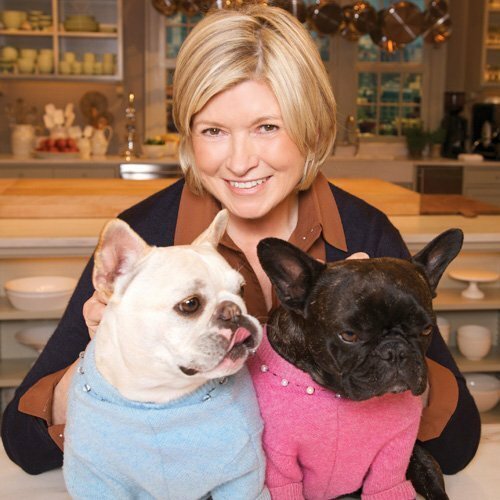 Along with the mass produced, we start seeing the first dog boutiques in Paris. Hundreds of years later, we must give credit where credit is due, there was a huge burst in the dog fashion industry in the early 00s. The internet and mass production made picking up a matching Christmas sweater for your basset hound incredibly affordable. Watching celebrities like Paris Hilton carry their decked out Chihuahua around either made you love the idea or hate it, but she certainly wasn’t the first or most creative person to accessorize their dog. For 12,000 years we’ve made sure our dogs are fashion forward. So, the next time someone asks you about your pooch’s Duchesse Jewelry, tell them he’s just keeping the family tradition.